Bill will be so sad when he sees this at his local super market. 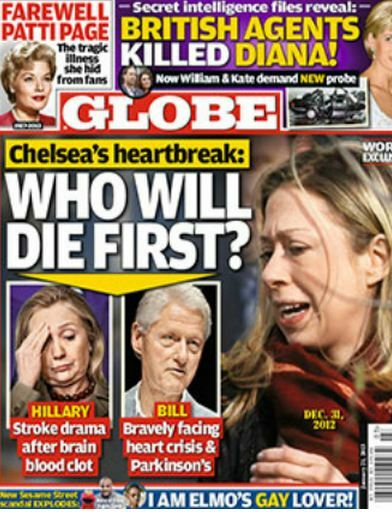 In our one hundredth episode the guys talk about tabloid covers about the Clinton’s demise, Presidential libraries. Later Cline keeps raising the stakes until Mark will acknowledge that his place of work would have to close. Plus the guys talk about crazy conspiracies that are in the news and decide to start a conspiracy podcast.